Founded in 2000 Oriel Flues have quickly established themselves as the number 1 supplier in Ireland, we are specialist manufacturers and distributors for a wide range of flue components, including domestic cooker flues , chimney flues, stove flues and a variety of vitreous flue components. We can design and manufacture flues to suit most applications. 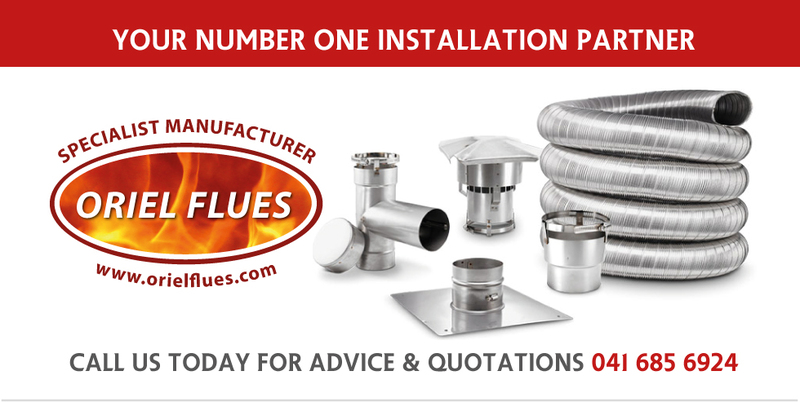 Our promise is to provide you with the highest quality flue components, best customer service and next day deliveries* for residential heating applications. All our products can be ordered by emailing or calling our sales department.